A day of playing dress-up and getting free candy is every child's dream. 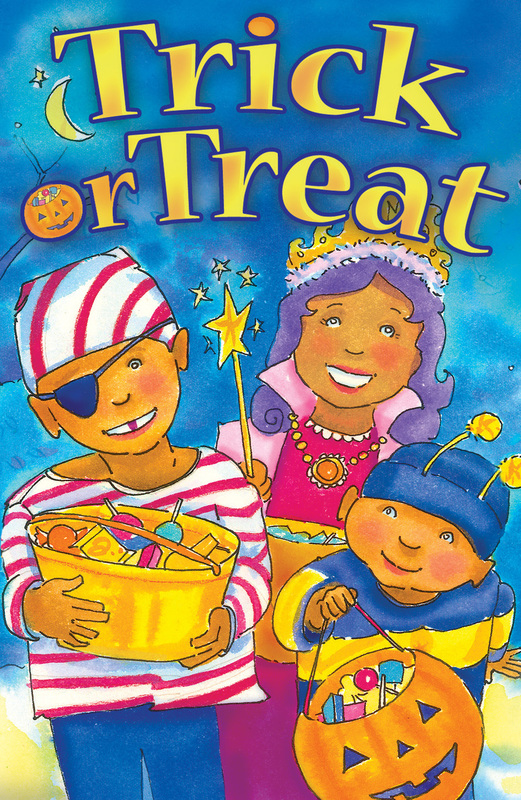 But children need to know that while trick or treating on Halloween is fun, the best treat of all has been given to us by God through the death and resurrection of Jesus Christ. What is your favorite part of trick-or-treating? Is it dressing up in a silly (or scary!) costume? Or is it going from house to house with your friends, comparing all the great candy you’ve gotten? What about that feeling you get when you’re walking up to a front door, and you’re so excited just trying to guess what kind of treat you’re going to get next? Who was this only Son? He was Jesus Christ, God’s Son whom He sent from Heaven. Jesus was perfect and sinless. That means He never did anything wrong. He could do amazing things, like heal the sick and make blind people see again. He taught people to love God and each other. Jesus did only good things during His time on earth. We are not perfect or sinless. We all sin—that means we do bad things, like tell lies or treat other people badly. No matter how much we try to do good things all the time, God knows that we are not perfect. He knows that we are not good enough to enter Heaven on our own, “for all have sinned and fall short of the glory of God” (Romans 3:23). So, because Jesus loves us so much, He suffered and died on a cross as a way to take our punishment in our place. Dear Jesus, thank You for loving me so much that You died for me. I am sorry for my sins and ask You to forgive me. Please come into my life and help me to live for You. Amen.